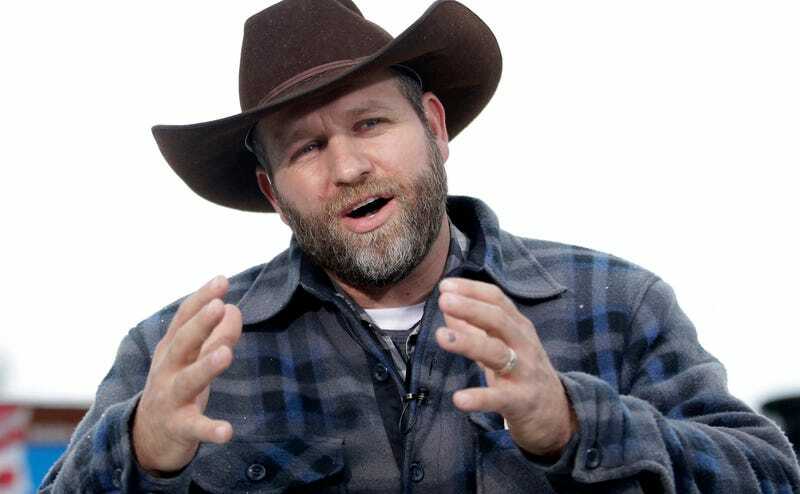 Ammon Bundy, the alleged ringleader of an armed occupation at a wildlife refuge in Oregon earlier this year, took the stand in federal court on Tuesday, offering testimony about his childhood, his family, and his political philosophy, Oregon Public Broadcasting reports. Buddy testified that his father Cliven—the Bunkerville, Nevada, rancher currently awaiting trial over charges connected to the family’s armed standoff with federal officials at their home in 2014—first made him aware of the plight of two Harney County ranchers, Dwight and Steven Hammond. Father and son had been convicted of setting fires on federally-maintained land, and did their time. Years later, a federal appeal resulted in their sentences being retroactively extended—the Hammonds were going to have to go back to prison. Cliven eventually broke his son’s resistance, according to Ammon’s testimony. One night in November 2015, Bundy testified he was having trouble sleeping when he received a text linking to an article about the Hammonds’ case. “I had this overwhelming feeling that it was my duty to get involved to protect this family,” Bundy said. He began writing a blog post on his family’s website, which he said his wife proofread before blasting the message to contacts they made through the Bunkerville standoff and elsewhere. According to testimony, Bundy then traveled to Harney County, where he met Steven Hammond and then with Ryan Payne. Bundy testified he and Payne then met with Dwight and Susie Hammond together. Bundy alleged the federal government threatened to “bring misery” to the Hammonds if they continued communicating with him. Dwight was “extremely afraid,” Bundy said, explaining that he feared for his and his family’s lives. Bundy described federal government officials as modern day conquerers who understand the power they can have over populations by claiming resources, which is exactly what he believes is being done to ranching families across the country. “We need to wake up,” he told the court. Bundy’s testimony will continue on Wednesday.